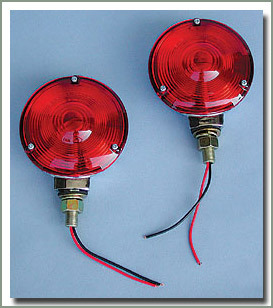 This pair of Auxiliary Tail Lights has 12 volt dual filament bulbs and is D.O.T. approved. The red lens is 4 inches in diameter. 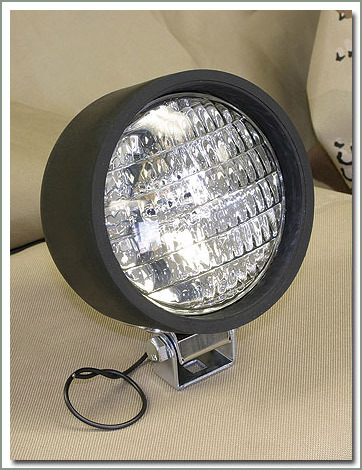 The lights stand 4 1/2 inches tall and are 2 3/4 inches thick. 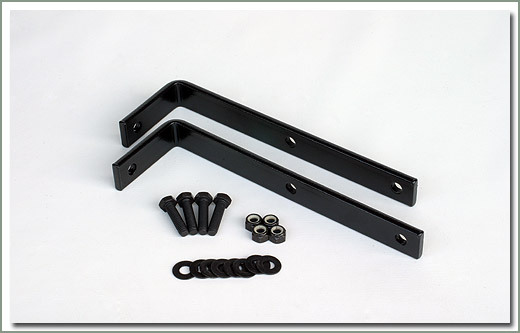 The mounting bolt is not adjustable and fits a 1/2 inch hole. 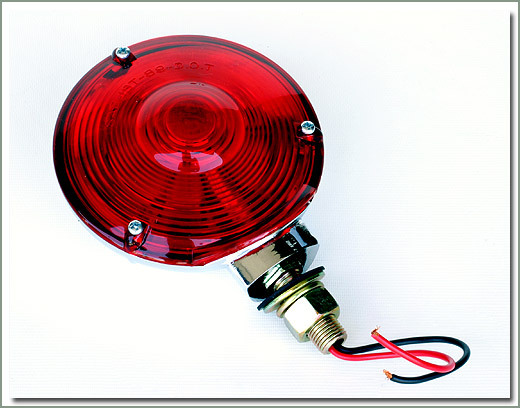 These lights ground thru the body of the light and it has two power wires, one for each of the filaments in the bulb. Sold in pairs.